“I’m having a bad, bad day” and “Oh, YEAH” are two phrases that you will commonly hear around our house. Despicable Me is one of our family’s favorite movies so you can imagine our excitement when Despicable Me 2 came out into theaters. Now, its available on on Blu-ray/DVD Combo Pack and it’s the perfect movie to enjoy this holiday season with the family! 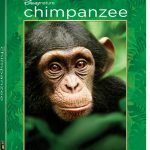 The Blu-ray/DVD Combo Pack is full of great bonus features that both parents and kids will enjoy! The Making of the Mini-Movies—A fun-filled take on the making of the mini-movies through the eyes of the artists who made them. The Minions—A visit to Illumination Entertainment in Paris and Los Angeles to hear what it’s really like to work with the Minions. Evil Minions—Bigger, badder and more purple than ever, the newest and fiercest addition to the Minion species can chew through metal and swallow a car. Find out more about the process that led to their creation and design. A Gru-Some Transformation—A sit-down with Steve Carell as he discusses the transformation of Gru from the ultimate super-villain to super-dad and international spy. El Hombre Malo: The Villainy Of El Macho—Every great story needs a good villain, and Despicable Me 2 brings on the diabolico in the form of El Macho! Learn about the creation of this character and the actor who brought him to life—Benjamin Bratt. Gru’s Girls—Miranda Cosgrove, Elsie Kate Fisher and Dana Gaier weigh in on working with Steve Carell and playing the daughters of a world-famous super-villain! Gadgets Galore—Lipstick tasers, magnet ships, foam dart dispensers and jelly guns—these are the nifty gadgets of Despicable Me 2. Illumination Entertainment pulls back the curtain on what it takes to build a world that would leave even James Bond envious. – Hayden, 5 years old: His favorite bonus features were definitely anything that had to do with the Minions! He loved the Minion Mini-Movies and learning a bit more about the Evil Minions. – Dad: Dad’s favorite was definitely the feature Gadgets Galore where we got a sneak peek at all of the gadgets that are used in the movie! – Mom: I loved the Gru’s Girls bonus feature and loved hearing how much they love working together. My husband and I also both loved the A Gru-some Transformation. We love anything to do with Steve Carell and thought this was really interesting! 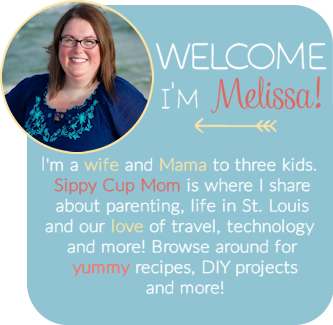 We loved having a Family Movie Night to watch Despicable Me 2! The colors and clarity of the Blu-ray are fantastic and it felt like we were in the movie theater. If you’re having a Family Movie Night, check out my post on Despicable Me themed cakes and cupcakes! Despicable Me 2 is available NOW on Blu-ray and DVD. This is a definite must have for this holiday season and would be a great stocking stuffer! 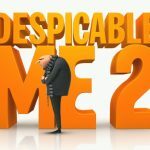 Check out the fun official website of Despicable Me 2 and connect on Facebook and Twitter also. 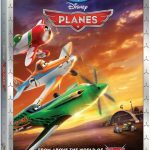 Disney’s Planes Flies Onto Blu-ray and DVD! Available Now! My girls haven’t seen any of the Despicable Me movies yet! I know they would love them! Thanks for the great stocking stuffer idea! I ordered this for my husband for Christmas. He loves the minions! Oh, how I love the minions. We don’t own any of this series yet, but it’s on our wishlist. We’ll have to see what Santa will bring. I love it when a DVD has great bonus features – it’s like getting more for your money. I haven’t seen the first Despicable Me – we are a little behind here! I keep meaning to pick this up on DVD but I keep forgetting. Thanks for the reminder! I love the little bonuses they put on the DVDs. We just received this for a review a few weeks ago and it’s already a family favorite! 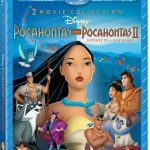 Even my husband loves it, and he doesn’t love all of the animated movies I bring home! 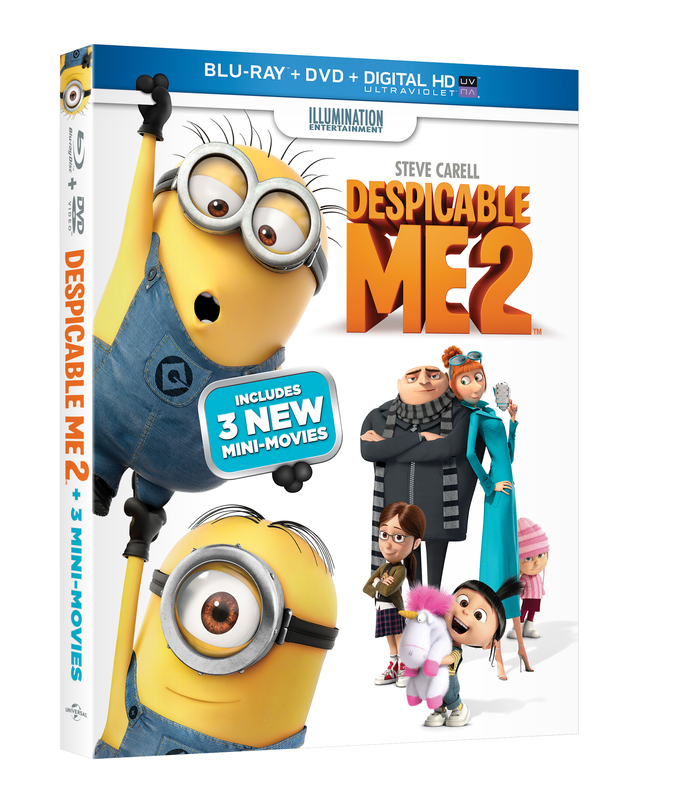 We loved Despicable Me 2 in theaters and cannot wait to add it to our collection! I love that the new blu ray and dvd combo back has mini movies- this will get the kids so excited! What a great Christmas gift. I keep hearing how great DM2 is! Yes, we haven’t seen it. I should pick up a DVD! I agree. This is a must have for Christmas and I must pick this up! We went to see this movie in the theater for our family outing. We had so much fun! I love those darn minions. This movie looks and sounds great. We loved the first one and thought it was adorable. Thank you for sharing. We love Despicable Me and feel terrible that we’ve not seen 2! What a bad mom!! The movie sounds delightful and I’m so glad I picked it up for Christmas. I’m going to look at those bonus sections because they sound super interesting!! Can’t wait! And the mini movies sound so fun too! I have yet to see these movies but they sure look cute! I love, love, love the Training Wheels mini movie, it’s so fun! This has definitely been one of the boys absolute favorites. These movies touch my heart! Oooh, now I really want to see those extras! Especially Carrell’s transformation! My kids love this movie and we (parents) do like too! It was pretty funny and touching. I like how Gru takes care of the girls and tries his best at making them happy! This movie looks adorable! Definitely must see it! the puppy mini movie had my whole family rolling on the floor! I love movies that the whole family can enjoy and this is definitely one of those! I’m dying to see this, I haven’t even see the first one either. Every year we go out to the movies for Christmas eve. This year there is nothing we want to see, that we haven’t seen, so we are buying this from Amazon and having an at home movie night. This is going in my son’s stocking!! We are minion maniacs! I really want to see this movie, need to stop putting it off! Great site! 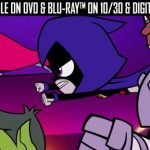 do you know(since no one else seems to know) does the DVD have the three new mini movies in the DVD/Blue Ray combo pack or are they just on the blueray disc?